Lah Ti Dar created such a deep impression in winning her first three races that she was sent off 7-4 favourite to retain her unbeaten record in the William Hill St Leger. The Lord Lloyd-Webber-owned filly almost did, too, but found the classy and more experienced Kew Gardens a bit too strong. Lah Ti Dar stayed on stoutly from off the pace but her relative lack of inexperience was a factor as she went down by two and a quarter lengths. Even so, she pulled four and a half lengths clear of Southern France, who was third. “She ran a great race and as Frankie said, that’s the first real race of her life. 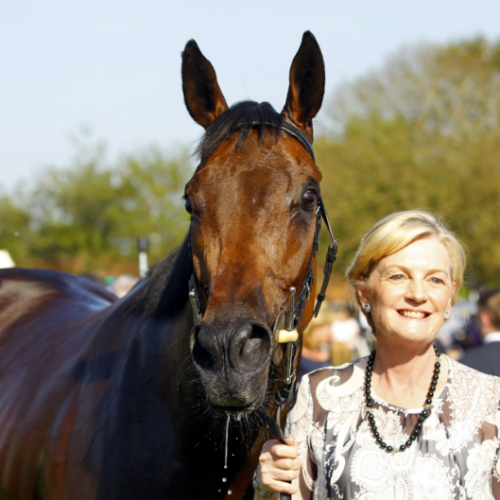 She’s only ever seen about one horse before today,” trainer John Gosden said. “There was a period at the three (furlong marker) where you said ‘she’s not going to be placed’, but then she got balanced and organised. She’s never raced against other horses before. Lah Ti Dar went off Evens for the Group 1 feature on but again ran well without winning, having to settle for third. Before Doncaster, the good-looking Lah Ti Dar had been a stunning ten-length winner of the Galtres Stakes at York, having previously won a 14-runner maiden at Newbury in April by six lengths and a Listed race at Newmarket. By Dubawi, she is out of Dar Re Mi and a sister to the top notch So Mi Dar. Her younger brother, Too Darn Hot, also looks one to watch for in 2019.